Hey, Y’all, I wanted to do something kinda different so when this idea popped up I figured why not! 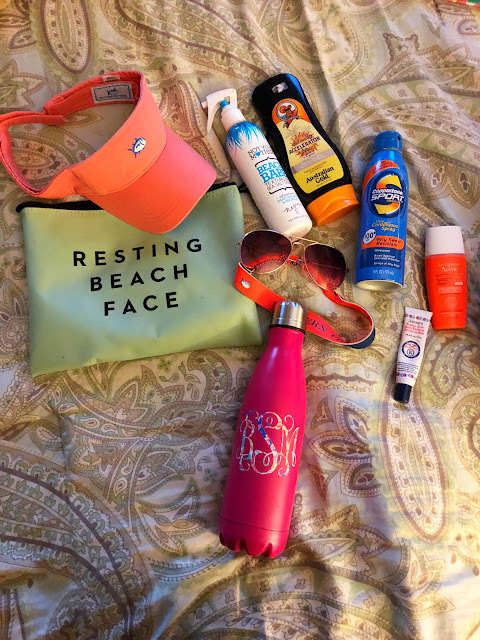 So today’s post is a what is in my beach bag post. Summer is right around the corner and most of us have different sectionals we always carry right? 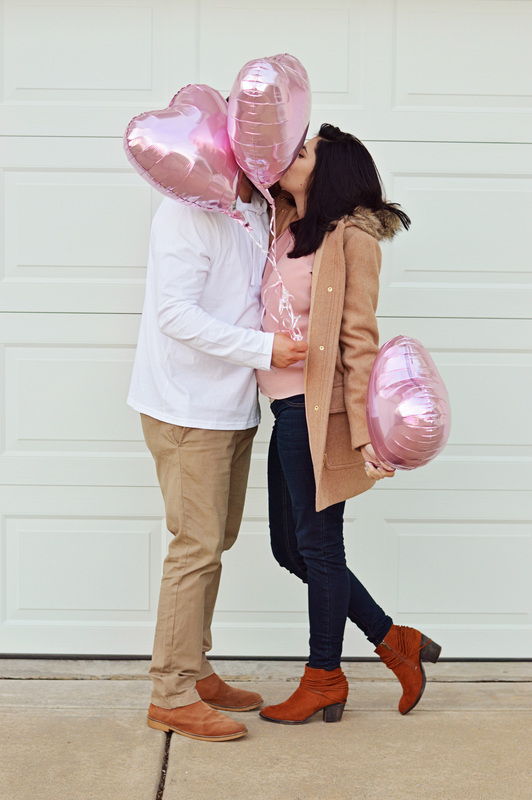 Well, these are mine. I might go back later and link a lot of the products if asked but for right now I am just going to share what I use + pictures. 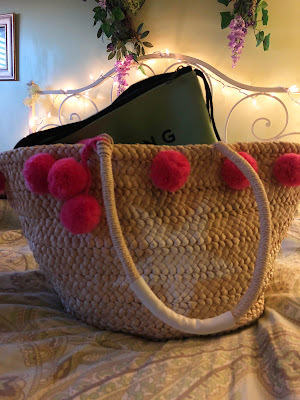 Jumping right on in the first thing about what I take to the beach is obviously is my bag, I have this cute straw tote with pink pom poms and a starfish on it. I got it last summer and it is now my go-to beach bag. Moving along to what’s kept on the inside. I always have a hat with me, I have sensitive skin and don’t like tanning my face because of it. This brings us to the next thing which is a sunscreen just for your face. Its supers lightweight and absorbs really fast without leaving that gross white tint behind. 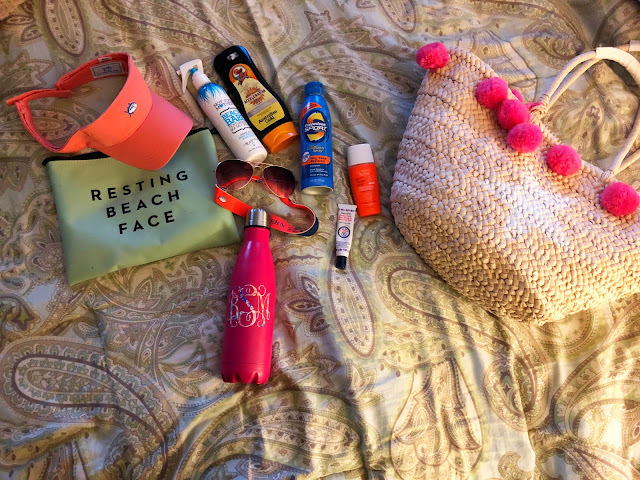 I have this water-resistant bag that says, “Rest beach face” and I normally keep things like my phone and headphones in it so nothing can happen to them. In that same pouch, I have a thing of chapstick that has SPF in it because sunburn on your lips is just so not fun. I have a pair of cheap sunglasses attached to a crookie so I don’t lose them. I can’t tell you how many pairs of sunglasses I’ve had go missing at the beach. Next up is just some regular sunscreen I’m pretty sure it’s only SPF 35 but I have a somewhat tan all year round and only my face burns unless I fall asleep like I did this past weekend. Sea salt spray by Not you mothers is in my bag also, normally it is the travel-sized bottle but I had run so I just went a grabbed my full size from the bathroom. I love this stuff because I have kinda curly hair and between the spray, water, and salt in the air it tends to make it more manageable. I also have a thing of accelerator in my bag. Smells a-m-a-z-i-n-g. But if you burn really easy this is not the stuff for you. Not pictured was the book I am currently reading, one of my many many swimmie cover-ups and a random beach towel I happened to pull from the closet. I also had a cute beach chair but I’m currently in the market for another one so hit me up with some suggestions! 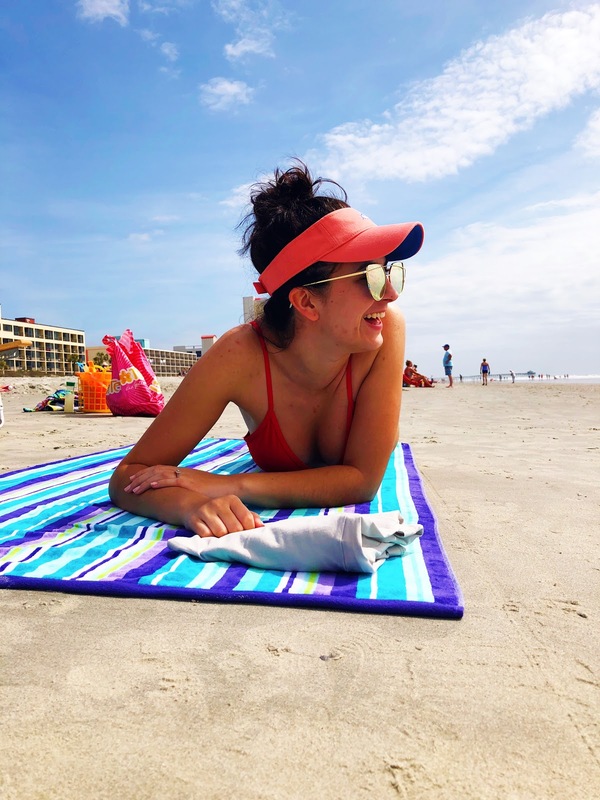 "Weekend Recap: Girls just wanna have sun!" "How I help my Sunburn"